Compliance. If you’re a life sciences company, you know what that one word conjures up: Risk, and lots of it. Though meant to ensure consumer safety, compliance-related regulations also expose critical supply chain dependencies and vulnerabilities across the medical, life sciences and pharmaceutical supply chain industries. Worse still, compliance won’t get any easier any time soon, especially as companies implement track-and-trace processes required under the recently signed U.S. Drug Quality and Security Act of 2013. The law, aimed at reducing drug shortages, theft and counterfeiting, mandates a phased implementation of electronic tracking down to the package level. For many companies, particularly small and medium-sized businesses operating in the middle of the life sciences supply chain, the regulation poses a big burden of responsibility, as this in-Pharma Technologist article points out. Variations in product coding, data collection systems and information-sharing practices could cause increased supply chain risks and interruptions as companies figure out how to coordinate, collaborate and conduct business on a new playing field. Likely, too, this will put companies under increasing pressure to review business continuity strategies and make sure practices are in place to keep supply chain operations moving, come what may. It’s becoming increasingly obvious as well is that companies will have to do a better job of mapping multiple tiers of suppliers and supplier sites, monitoring potentially disruptive events, and protecting corporate revenue and profit from long-term negative impact. Companies will be looking at how different supply chain solutions can both help them comply with new laws and mitigate risks associated with running complex global supply operations. These are significant challenges for any company. Ignoring the issue won’t make it go away. Laws will keep changing and compelling companies to find new ways to compete. Leading companies will take the time now to carve out competitive advantages. Laggards will struggle and get bruised along the way. 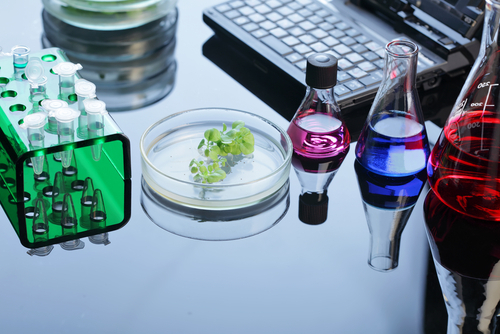 Read more about supply chain challenges specific to the life sciences industry here.